Mozilla has announced that they are stopping development for Firefox on Windows Mobile devices. The announcement is no surprise, with the announcement of Windows Phone 7 series expected to limit the device to just Internet Explorer on it’s mobile devices, much like Apple has done with it’s iPhone. “We have been building a version of Firefox for Windows Mobile for quite a while, with the expectation that Microsoft would be doubling down in the mobile market and hoping that they would put out a great new mobile operating system” wrote Mozilla Mobile Team Technical Lead, Stuart Parmenter. “While we think Windows Phone 7 looks interesting and has the potential to do well in the market, Microsoft has unfortunately decided to close off development to native applications. Because of this, we won’t be able to provide Firefox for Windows Phone 7 at this time” continued Parmenter. Never fear Windows Mobile Opera Mini users, Opera has got your back, with the release of Opera Mini 5 Beta 1 for Windows Mobile 5 and 6 phones. “By integrating Opera Mini with the Windows Mobile platform, Opera is able to deliver an optimized version of the popular Opera Mini browser that dramatically improves performance and the overall user experience. While Opera Mini traditionally requires Java, the new Windows Mobile version does not, which means that Opera Mini will work on any Windows Mobile phone” Opera said in a statement. The benefits of using Opera Mini on the mobile phone appear quite clear, with Opera including Opera Turbo technology that compresses data traffic by up to 90%, improving page-loading time and reducing data usage, potentially saving users when on a pay-per-MB data plan. Opera Mini 5 for Windows Mobile can be downloaded from the Opera Mini Next website. Firefox Mobile RC 1 (formerly known as Fennec) is now available for Nokia’s Maemo mobile platform. This includes devices such as the Nokia N900 and N810. Firefox Mobile is essentially Firefox 3.5 under the hod, with a new graphical user interface for the mobile device. This means that you get the same rendering engine (supporting some HTML5 elements), the awesome bar, spell check, and a download manager. Currently available in over 15 languages, an updated Windows Mobile version is expected in a few weeks. A full list of changes can be found in the release notes, while the browser can be downloaded from the Firefox Mobile website. Developer versions are also available for Windows, Mac, and Linux. 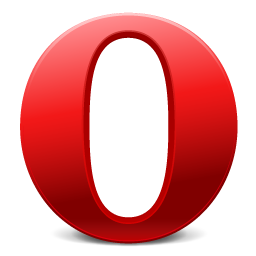 Opera has released Opera Mobile 10 beta for Windows Mobile phones. The mobile browser emulates the desktop feel, with a similar interface to Opera 10 and Opera Mini 5. A full run down on features and a download link can be found on the Opera Mobile site. Fennec, the mobile version of Firefox has been updated for both Nokia and Windows Mobile phones. For the Windows Mobile users, Fennec Alpha 2 increases performance, polishes the user interface, plus a list of other changes in the release notes. Mozilla has today released Fennec Alpha 1 for Windows Mobile. Until now, to use the new mobile browser you needed either a Nokia N800/N810 or an HTC Touch Pro. This new release worked with Windows Mobile 6 devices and includes new memory management technology (the same used in Firefox), a user interface designed with CSS, and support for add-ons. A full list of known bugs, changes since pre-alpha builds, and installation instructions can be found in the release notes. Mozilla has just released Firefox for Windows Mobile. Under the name of Fennec, which is the very first public release of the browser. You can install Fennec on an HTC Touch Pro by navigating to the installation cab file in your exsisting browser. This will then start the installation of the browser. 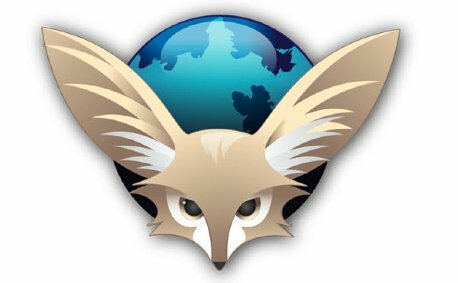 Early reports vary, with some users unable to open any web pages using Fennec. Mozilla is sure to fix bugs and add new features at the browser progresses.